**JAGUAR APPROVED CERTIFIED PRE-OWNED**6 YEAR/100K WARRANTY, **NO ACCIDENTS REPORTED ON CARFAX**, ***Bob Moore Jaguar***, **EXCELLENT CONDITION**, **ONE OWNER LOCAL TRADE**, **ONE OWNER**, **SERVICED HERE**, **RETIRED SERVICE LOANER**. 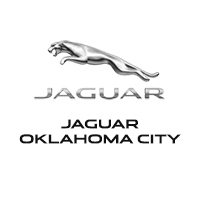 Bob Moore Jaguar in Oklahoma City, OK, also serving Edmond, OK and Norman, OK is proud to be an automotive leader in our area. Since opening our doors, Bob Moore Land Rover has kept a firm commitment to our customers. We offer a wide selection of vehicles and hope to make the car buying process as quick and hassle free as possible. **LAND ROVER APPROVED CERTIFIED PRE-OWNED**6 YEAR/100K WARRANTY, **NO ACCIDENTS REPORTED ON CARFAX**, ***Bob Moore Land Rover***, **EXCELLENT CONDITION**, **PRISTINE CONDITION**, **ONE OWNER LOCAL TRADE**, **ONE OWNER**, **PANORAMIC SUNROOF**, **NAVIGATION**, **RETIRED SERVICE LOANER**. Bob Moore Land Rover in Oklahoma City, OK, also serving Edmond, OK and Norman, OK is proud to be an automotive leader in our area. Since opening our doors, Bob Moore Land Rover has kept a firm commitment to our customers. We offer a wide selection of vehicles and hope to make the car buying process as quick and hassle free as possible. **LAND ROVER APPROVED CERTIFIED PRE-OWNED**6 YEAR/100K WARRANTY, **NO ACCIDENTS REPORTED ON CARFAX**, ***Bob Moore Land Rover***, **EXCELLENT CONDITION**, **PRISTINE CONDITION**, **ONE OWNER LOCAL TRADE**, **ONE OWNER**, **SERVICED HERE**, **RETIRED SERVICE LOANER**. Bob Moore Land Rover in Oklahoma City, OK, also serving Edmond, OK and Norman, OK is proud to be an automotive leader in our area. Since opening our doors, Bob Moore Land Rover has kept a firm commitment to our customers. We offer a wide selection of vehicles and hope to make the car buying process as quick and hassle free as possible. **LAND ROVER APPROVED CERTIFIED PRE-OWNED**6 YEAR/100K WARRANTY, **NO ACCIDENTS REPORTED ON CARFAX**, **EXCELLENT CONDITION**, **PRISTINE CONDITION**, **ONE OWNER**, **SUNROOF**, **NAVIGATION**, **RETIRED SERVICE LOANER**. Bob Moore Land Rover in Oklahoma City, OK, also serving Edmond, OK and Norman, OK is proud to be an automotive leader in our area. Since opening our doors, Bob Moore Land Rover has kept a firm commitment to our customers. We offer a wide selection of vehicles and hope to make the car buying process as quick and hassle free as possible. **LAND ROVER APPROVED CERTIFIED PRE-OWNED**5 YEAR/100K WARRANTY, **NO ACCIDENTS REPORTED ON CARFAX**, ***Bob Moore Land Rover***, **EXCELLENT CONDITION**, **PRISTINE CONDITION**, **ONE OWNER LOCAL TRADE**, **ONE OWNER**, **SERVICED HERE**. Bob Moore Land Rover in Oklahoma City, OK, also serving Edmond, OK and Norman, OK is proud to be an automotive leader in our area. Since opening our doors, Bob Moore Land Rover has kept a firm commitment to our customers. We offer a wide selection of vehicles and hope to make the car buying process as quick and hassle free as possible. **LAND ROVER APPROVED CERTIFIED PRE-OWNED**5 YEAR/100K WARRANTY, **NO ACCIDENTS REPORTED ON CARFAX**, **EXCELLENT CONDITION**, **ONE OWNER LOCAL TRADE**, **ONE OWNER**, **RETIRED SERVICE LOANER**. Bob Moore Land Rover in Oklahoma City, OK, also serving Edmond, OK and Norman, OK is proud to be an automotive leader in our area. Since opening our doors, Bob Moore Land Rover has kept a firm commitment to our customers. We offer a wide selection of vehicles and hope to make the car buying process as quick and hassle free as possible. **LAND ROVER APPROVED CERTIFIED PRE-OWNED**5 YEAR/100K WARRANTY, **NO ACCIDENTS REPORTED ON CARFAX**, **HSE PACKAGE**, **ONE OWNER LOCAL TRADE**, **ONE OWNER**. Odometer is 2189 miles below market average! Awards: * ALG Residual Value Awards Bob Moore Land Rover in Oklahoma City, OK, also serving Edmond, OK and Norman, OK is proud to be an automotive leader in our area. Since opening our doors, Bob Moore Land Rover has kept a firm commitment to our customers. We offer a wide selection of vehicles and hope to make the car buying process as quick and hassle free as possible. **NO ACCIDENTS REPORTED ON CARFAX**, ***Bob Moore Land Rover***, **EXCELLENT CONDITION**, **PRISTINE CONDITION**, **ONE OWNER LOCAL TRADE**, **ONE OWNER**. Bob Moore Land Rover in Oklahoma City, OK, also serving Edmond, OK and Norman, OK is proud to be an automotive leader in our area. Since opening our doors, Bob Moore Land Rover has kept a firm commitment to our customers. We offer a wide selection of vehicles and hope to make the car buying process as quick and hassle free as possible. **NO ACCIDENTS REPORTED ON CARFAX**, ***Bob Moore Land Rover***, **EXCELLENT CONDITION**, **PRISTINE CONDITION**, **ONE OWNER LOCAL TRADE**, **ONE OWNER**, **RETIRED SERVICE LOANER**. Bob Moore Land Rover in Oklahoma City, OK, also serving Edmond, OK and Norman, OK is proud to be an automotive leader in our area. Since opening our doors, Bob Moore Land Rover has kept a firm commitment to our customers. We offer a wide selection of vehicles and hope to make the car buying process as quick and hassle free as possible. **LAND ROVER APPROVED CERTIFIED PRE-OWNED**5 YEAR/100K WARRANTY, **NO ACCIDENTS REPORTED ON CARFAX**, ***Bob Moore Land Rover***, **EXCELLENT CONDITION**, **PRISTINE CONDITION**, **HSE LUX PACKAGE**, **ONE OWNER LOCAL TRADE**, **ONE OWNER**, **SERVICED HERE**, **NON SMOKER**, **RETIRED SERVICE LOANER**. Odometer is 772 miles below market average! Awards: * ALG Residual Value Awards Bob Moore Land Rover in Oklahoma City, OK, also serving Edmond, OK and Norman, OK is proud to be an automotive leader in our area. Since opening our doors, Bob Moore Land Rover has kept a firm commitment to our customers. We offer a wide selection of vehicles and hope to make the car buying process as quick and hassle free as possible. **LAND ROVER APPROVED CERTIFIED PRE-OWNED**5 YEAR/100K WARRANTY, **NO ACCIDENTS REPORTED ON CARFAX**, ***Bob Moore Land Rover***, **EXCELLENT CONDITION**, **PRISTINE CONDITION**, **ONE OWNER LOCAL TRADE**, **ONE OWNER**, **RETIRED SERVICE LOANER**. Odometer is 7716 miles below market average! Awards: * ALG Residual Value Awards Bob Moore Land Rover in Oklahoma City, OK, also serving Edmond, OK and Norman, OK is proud to be an automotive leader in our area. Since opening our doors, Bob Moore Land Rover has kept a firm commitment to our customers. We offer a wide selection of vehicles and hope to make the car buying process as quick and hassle free as possible. **NO ACCIDENTS REPORTED ON CARFAX**, ***Bob Moore Land Rover***, **EXCELLENT CONDITION**, **PRISTINE CONDITION**, **HSE PACKAGE**, **ONE OWNER LOCAL TRADE**, **ONE OWNER**, **PANORAMIC SUNROOF**, **NAVIGATION**, ABS brakes, Alloy wheels, Compass, Electronic Stability Control, Front Bucket Seats, Front Center Armrest, Front dual zone A/C, Heated door mirrors, Heated front seats, Heated rear seats, Illuminated entry, Low tire pressure warning, Navigation System, Power Liftgate, Power moonroof, Power passenger seat, Remote keyless entry, Split folding rear seat, Traction control, Ventilated front seats. Bob Moore Land Rover in Oklahoma City, OK, also serving Edmond, OK and Norman, OK is proud to be an automotive leader in our area. Since opening our doors, Bob Moore Land Rover has kept a firm commitment to our customers. We offer a wide selection of vehicles and hope to make the car buying process as quick and hassle free as possible.